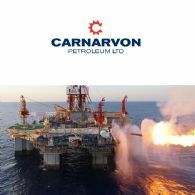 Carnarvon Petroleum Limited (ASX:CVN) (OTCMKTS:CVONF) is pleased to advise that Mr Gavin Ryan has accepted an invitation to join the Board of Directors. Carnarvon Petroleum Limited (ASX:CVN) (OTCMKTS:CVONF) is pleased to provide the following update on the drilling of the Dorado-1 well. Carnarvon Petroleum Limited (ASX:CVN) (OTCMKTS:CVONF) confirms that the Quadrant-Carnarvon Joint Venture have completed additional wireline evaluation since the last update. The results have confirmed the oil discovery in the Caley Member and have confirmed the presence of gas and condensate in the top of the Baxter Member that was drilled into to enable the evaluation of the Caley Member. 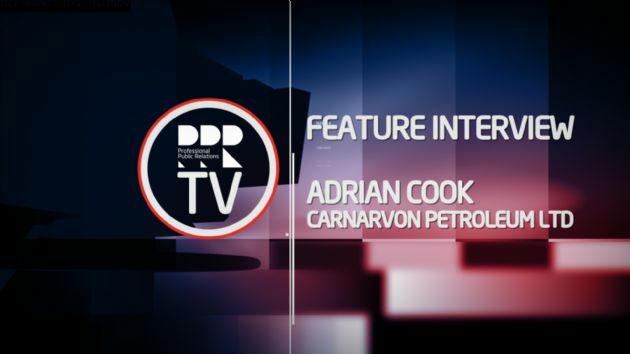 Carnarvon Petroleum Limited (ASX:CVN) (OTCMKTS:CVONF) confirms that the Quadrant-Carnarvon Joint Venture has made a significant oil discovery in the Caley Member as part of the current Dorado-1 well drilling campaign. 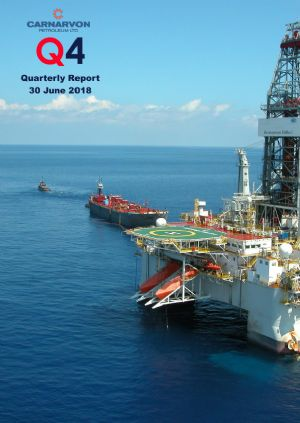 Carnarvon Petroleum Limited (ASX:CVN) (OTCMKTS:CVONF) provides the Company&apos;s Quarterly Report June 2018. Carnarvon Petroleum Limited (ASX:CVN) (OTCMKTS:CVONF) is pleased to provide the following update on the drilling at the Dorado-1 well. Carnarvon Petroleum Limited (ASX:CVN) (OTCMKTS:CVONF) is pleased to provide the following update on the commencement of drilling at the Dorado-1 well. 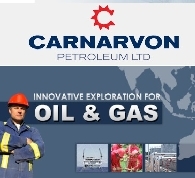 Carnarvon Petroleum (ASX:CVN) (OTCMKTS:CVONF) is pleased to provide shareholders with this update on projects and progress. 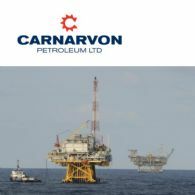 Carnarvon Petroleum Limited (ASX:CVN) (OTCMKTS:CVONF) is pleased to advise it has successfully completed a Share Purchase Plan to raise $4 million as part of the Company&apos;s $20 million capital raising announced on 11 May 2018. Carnarvon Petroleum Limited ("Carnarvon") (ASX:CVN) (OTCMKTS:CVONF) is pleased to provide the following update on the drilling of the Phoenix South-3 well as advised by the operator, Quadrant Energy. 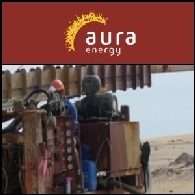 Carnarvon Petroleum Limited (ASX:CVN) (OTCMKTS:CVONF) is pleased to provide the following update on the Dorado-1 well that is to be drilled in the WA-437-P exploration permit using the Ensco-107 jack-up drilling rig. Carnarvon Petroleum Limited (ASX:CVN) announced on 11 May 2018 that it intends to offer eligible shareholders the opportunity to subscribe for up to A$15,000 of new fully paid ordinary shares in the Company under a share purchase plan (SPP). 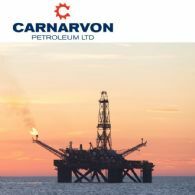 Carnarvon Petroleum Limited (ASX:CVN) (OTCMKTS:CVONF) is pleased to confirm it has successfully raised $16 million (before costs) which will be used to fund drilling of its Buffalo-10 well. Additional funds are expected to be secured through a share purchase offer to existing shareholders to raise up to $4 million. 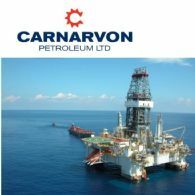 Carnarvon Petroleum Limited (ASX:CVN) (OTCMKTS:CVONF) is pleased to announce that redevelopment of its Buffalo oil field in the Timor Sea is progressing as the Company advances plans to drill the first production well. Carnarvon Petroleum Limited (ASX:CVN) (OTCMKTS:CVONF) is pleased to provide the following update on its near-term drilling program. Carnarvon Petroleum Limited (ASX:CVN) (OTCMKTS:CVONF) is pleased to provide the following update on the drilling of the Phoenix South-3 well as advised by the operator, Quadrant Energy. 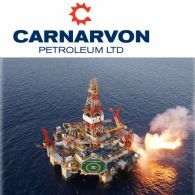 Carnarvon Petroleum Limited (ASX:CVN) (OTCMKTS:CVONF) provides the following update on its volume estimates within the Phoenix project ahead of, and for context in regard to, the drilling of the Phoenix South-3 well that has already commenced and the Dorado-1 well that is expected to commence next month. Carnarvon Petroleum Limited (ASX:CVN) (OTCMKTS:CVONF) is pleased to provide the following update on the commencement of drilling at the Phoenix South-3 well as advised by the operator, Quadrant Energy. 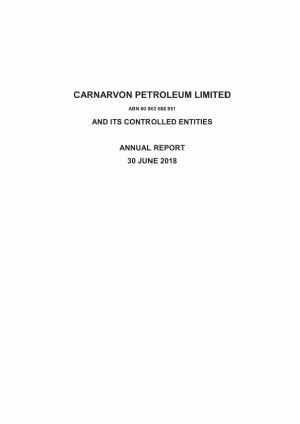 Carnarvon Petroleum Limited (ASX:CVN) (OTCMKTS:CVONF) provides the Company&apos;s Quarterly Report for the period ending 31st March, 2018. Carnarvon Petroleum Limited (ASX:CVN) (OTCMKTS:CVONF) is pleased to provide the following update on its near-term drilling program as advised by the operator, Quadrant Energy. 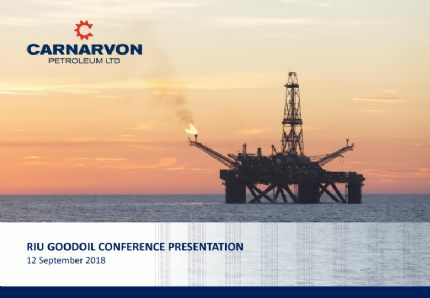 Carnarvon Petroleum Limited (ASX:CVN) (OTCMKTS:CVONF) provides the Company&apos;s latest Presentation. Carnarvon Petroleum Limited (ASX:CVN) (OTCMKTS:CVONF) provides the following update on its upcoming drilling program as advised by the operator, Quadrant Energy. 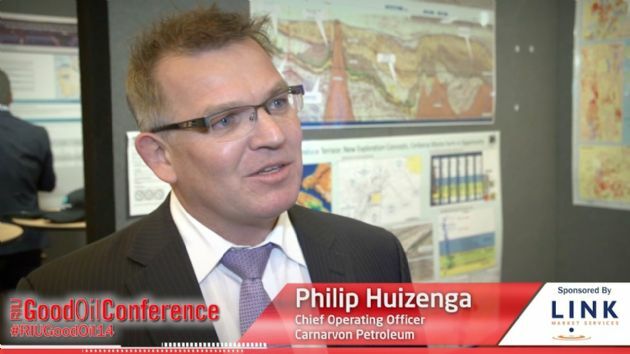 Carnarvon Petroleum (ASX:CVN) (OTCMKTS:CVONF) had made what is potentially the largest and most significant oil discovery in Australia in the past 30 years with the Phoenix South-1 well in Western Australia&apos;s North West Shelf. 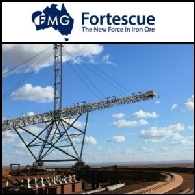 Asian Activities Report for October 12, 2011 includes: Fortescue Metals Group Limited (ASX:FMG) says that the total iron ore resource at the Nyidinghu ore body has exceeded 2 billion tonnes and the Company&apos;s total resource inventory has increased to 11.42 billion tonnes; Credo Resources Limited (ASX:CRQ) has entered into an agreement to acquire extensive interests in gold permits in Burkina Faso; Carnarvon Petroleum Limited (ASX:CVN), together with its joint venture partner Pan Orient Energy (CVE:POE), says that NSE-F6 Development Well located onshore Thailand has been successfully drilled; Unity Mining Limited (ASX:UML) has signed an agreement to farm into the Firetower exploration project held by Greatland Gold plc (LON:GGP). 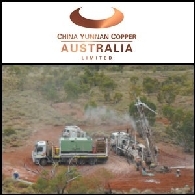 Asian Activities Report for July 14, 2011 includes: Aura Energy Limited (ASX:AEE) says today that its initial JORC Inferred uranium resource at the Reguibat Project in Mauritania is estimated at 50.2 million pounds at 330ppm U3O8; Carnarvon Petroleum Limited (ASX:CVN) provides operational updates for its oil exploration programs onshore Thailand; Universal Coal plc (ASX:UNV) has upgraded its JORC-compliant coal resources at the Berenice-Cygnus Coking Coal Project to 1.2 billion tonnes; Automotive Technology Group (ASX:ATJ) has appointed Kenmar Corporation as its exclusive sales representative for the original equipment manufacturer market in North and South America.